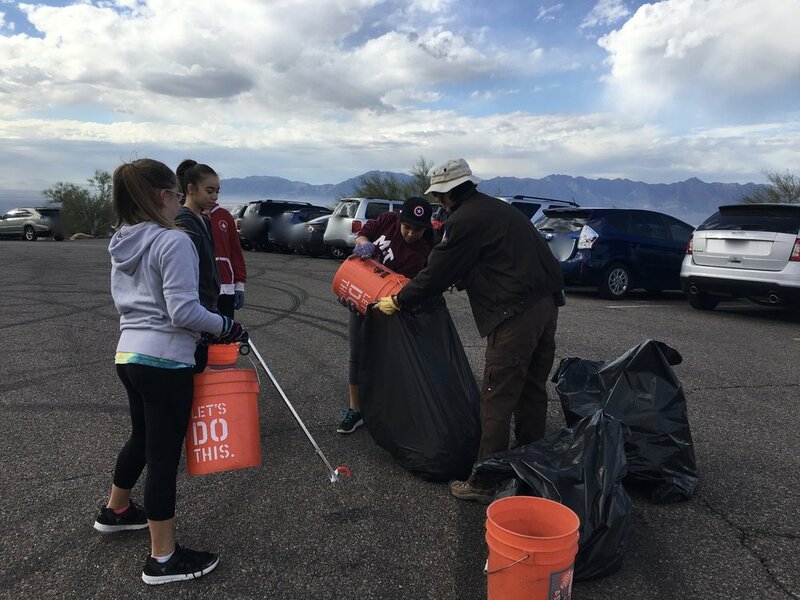 Natural Restorations teamed with Phoenix Parks & Recreation Department to host a Broken Glass & Trash Cleanup Project for 6th graders from San Tan Elementary School on Saturday, January 14th at South Mountain Park's Gila Lookout. 609 pounds of broken glass and trash are no longer littering this beautiful area. Before splitting into groups, volunteers gathered for a brief safety meeting and discussion on how to help maintain South Mountain as a preserve. We also discussed leaving a minimal footprint while picking up trash, how to avoid disrupting the vegetation or creating a new path where there shouldn't be one. Volunteers were provided with gloves, buckets and trash grabbers donated by The Home Depot in Tempe on Baseline Road. The Ahwatukee Safeway and the 16th Street Safeway in Phoenix donated snacks for volunteers. We would like to thank all of the organizations who helped make this cleanup a success: Arizona Trail Association, The Home Depot, City of Phoenix Parks and Recreation, and Safeway. We also want to personally thank Jessica Ducharme, Park Ranger II with Phoenix Parks and Recreation Department, for all of her hard work helping us make this project a success. We can't wait to work with Jessica again. A special thanks to Brian Navarro and the fabulous teachers from San Tan Elementary School. Thank you for teaching your students to be good stewards of our lands, we look forward to working with you again. We would also like to thank all of the parents for coming out and volunteering with us. 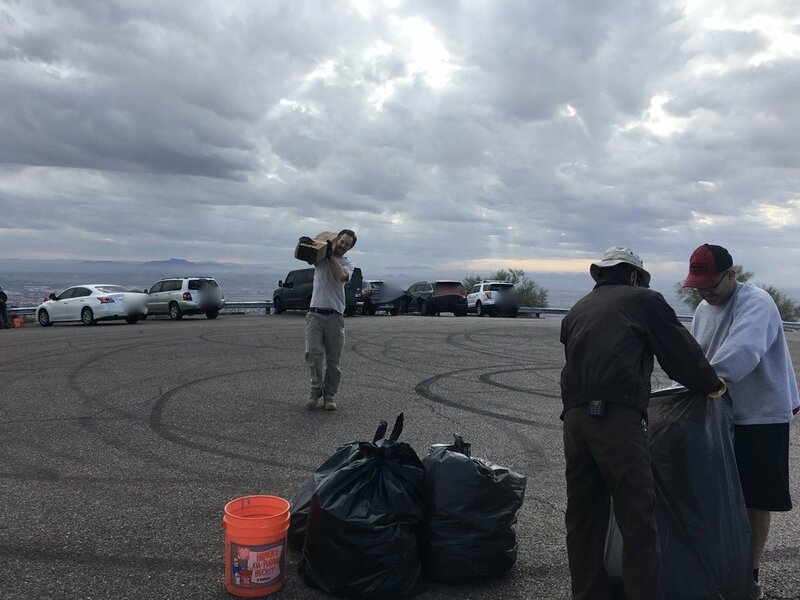 Volunteers spent a collective total of 59.98 hours removing trash from the Gila Lookout at South Mountain Park. Did you know we work with elementary, middle, and high schools to provide hands-on service learning opportunities for their students? Many schools require volunteer hours each semester and we offer the opportunity to get out of the classroom and into nature, making an immediate, visible impact on our natural areas. If you are a student, parent, or teacher & would like to discuss future projects, please contact us. We also work with scout groups and clubs. We can accommodate small and large groups. Check out these pictures from the cleanup. To view larger images, click on the picture.